FA10 Deep Water Shark Research! Not many are aware that little to no information is known on 90% of the ocean. 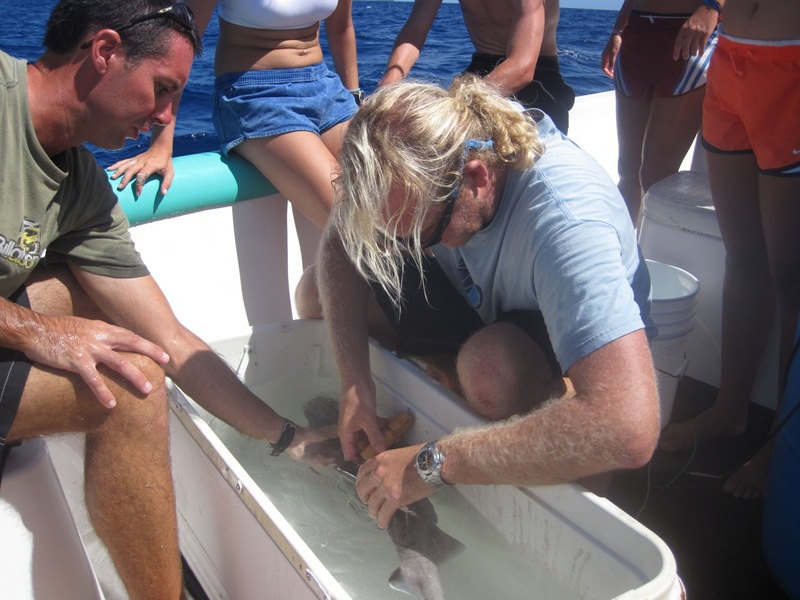 Our goal as the Deep Water Shark research team is to collect data on deep-water shark species, and maybe even discover new species. Through use of 1100 meters of line and extensive deep water surveying, we are catching and tagging deep-water elasmobranchs. After in depth analysis, we hope that this new data will provide a basis for future Island School semesters, but more importantly it will provide knowledge and data for fisheries of the Bahamas, and other researchers. 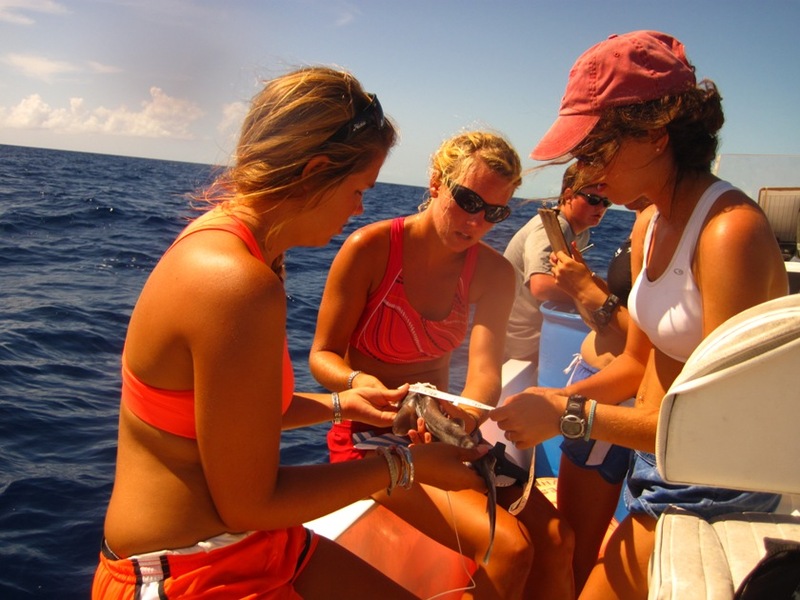 We are interning in Flats Ecology research at the Cape Eleuthera Institute and learning so much about the effects of global climate change on many flats species such as, Queen and Milk conch, Checkered pufferfish, Blue crabs, Lobster, Schoolmaster snapper, and soon to come Cobia and Bonefish. We are often in the field perfecting our methods of capture and we assist in designing and constructing experiments to run tests on these various species. For example, we are testing the metabolic rates of most of these marine organisms in a respirometer. Working in the wet lab we’re exposed to the other research projects that are also going on with Aquaponics, Aquaculture, and Shark research. With Flats research, everyday is a new challenge providing the best experiential learning environment. Morgan, Mickey, Peter, Hadley, and Maggie are setting the sampling line from which we hang 15 hooks. Mickey is clipping on one of the hooks while Peter examines one on the lines anchors.